“Mariano’s Crossing” is available at www.davidmjessup.com/ or on the Amazon and Barnes & Noble websites. His next book, a prequel to this one, is almost reading to be published. Find out more about the tours at www.heartjcenter.org/marianos-crossing-tour.html. 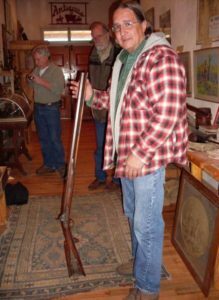 In David Jessup’s story, “Mariano’s Crossing,” he uses history and creative fiction to answer the “why” of many mysteries in Mariano Medina’s life. 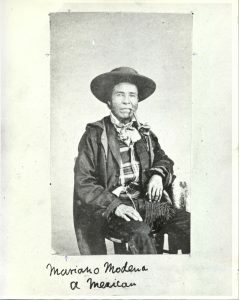 Mariano Medina was one of the first settlers in the area before Loveland was Loveland. History is full of holes. There were rumors that Medina’s wife, Takansy, stole their daughter’s body, who died at 15, and buried it in a secret place. There were rumors that Medina tied his son onto a horse and that his son died that way. There were rumors that Medina shot a man off a ladder while the man was working on his roof. 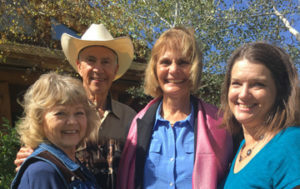 Jessup, who owns Sylvan Dale Guest Ranch with his sister, Susan Jessup, will host a tour on Sunday of historic sites used in his book. 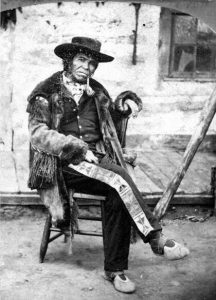 Visitors will take a walking tour of the main ranch and look at a site of Indian tepee rings and a wall that was part of the original homestead of William Alexander, who settled with his family on the property in 1864. The wall used to be beneath a lodge that was destroyed by the September 2013 Front Range flood. The tour will also include a drive to the site of the old Weldon School and to the Mariano Medina Cemetery near Namaqua Park. Jessup will also show viewers the location behind the Big Thompson School that he used in his book as the fictional burial site of Lena Medina and John Alexander’s hideout. The flood that came down the Big Thompson River dug out a big chunk of the Sylvan Dale land and took out several buildings. The ranch is back on its feet but can only serve half the people it used to. The ranch used to have lodging for 60 people for overnight stays and now are at around 30. Jessup said the tour is available for only 30 people but they are compiling a waiting list for more tours at a time and date to be determined. 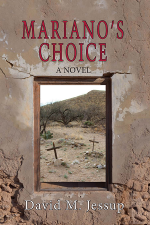 “Mariano’s Crossing” is available at http://www.davidmjessup.com/ or on the Amazon and Barnes & Noble websites. His next book, a prequel to this one, is almost reading to be published.